Riverkeeper’s Water Quality Program helps to monitor the Hudson River and its tributaries, and organize communities around water goals. Join a local watershed groups to get involved in your area, or find Riverkeeper volunteer opportunities. Martha Cheo, a longtime environmental educator and advocate from New Paltz, will be among the honorees at the Hudson River Watershed Alliance’s annual Toast to the Tribs event December 4. 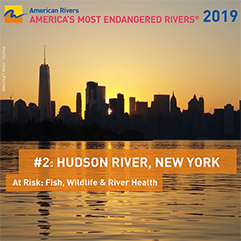 Riverkeeper staff will join friends of the Alliance to toast Martha and other honorees, and we hope many in the community of Hudson River advocates will join us. Martha started the Ulster County chapter of the Wallkill River Task Force, which was active about a decade ago, and was a predecessor of sorts to the Wallkill River Watershed Alliance. Since the formation of the Alliance in 2015, Martha has been a steadfast volunteer, most visibly as the organizer of the annual Wallkill River Festival in 2017 and 2018. 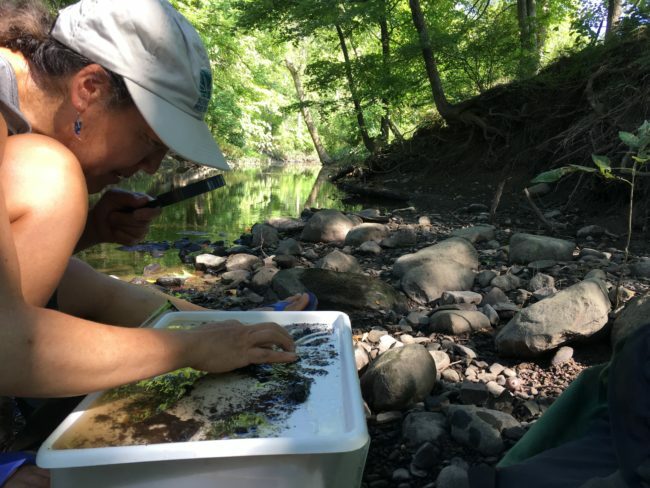 She’s also present at many community events, with bugs and worms from local streams, teaching kids (and adults) how the macroinvertebrates found in streams are an excellent indicator of the health of the aquatic ecosystem. Martha was a major part of the Hudson Basin River Watch organization, which monitored stream quality throughout the Hudson River watershed until about a decade ago. 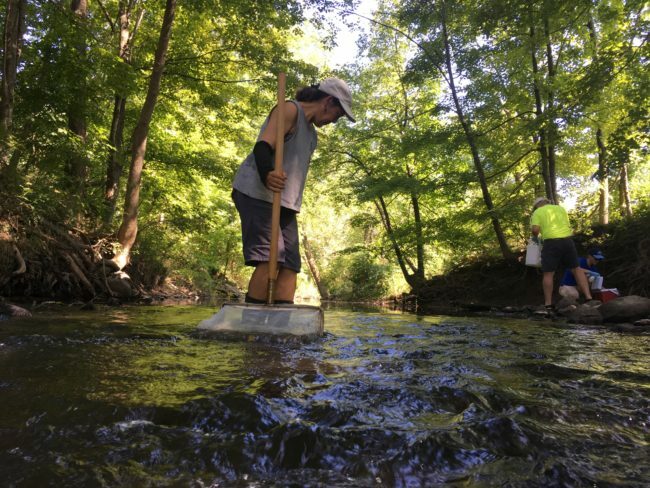 The organization’s citizen science approach to stream monitoring was one inspiration for Riverkeeper’s ongoing water quality monitoring projects. Martha volunteered her time in Summer 2018 to monitor water quality in several tributaries of the Wallkill River, as part of a Riverkeeper project in collaboration with the Department of Environmental Conservation. 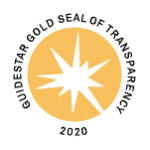 The data will inform updated understanding of water quality impairments, a critical step to ensure that more Clean Water Act tools are available for the restoration of the river. Other honorees – also deserving – include Rensselaer Land Trust, Cary Institute of Ecosystem Studies, Friends of the Great Swamp and Greenway Environmental Services. Congratulations, Martha, and all the honorees!